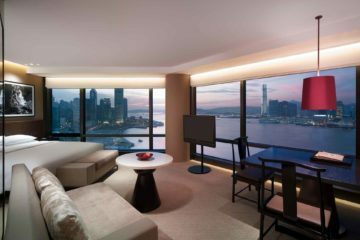 I had just arrived from a very long journey to Hong Kong, to my room at the Grand Hyatt, overlooking the majestic harbour. I wearily watched the infamous daily light show illuminate the city’s towering skyscrapers – I was part awake, but mostly asleep. There and then, I drifted into a vivid, fantastical, jet-lagged addled dream – two birds appeared and danced across the sky playfully – a hornbill and a phoenix. The pair chased each other for a minute before diving gracefully into the still, deep waters, skillfully dodging the iconic green and white Star Ferries, dinner cruise boats and Chinese junks with their beautiful red sails unfurled. Moments later, they rose in two rays of glimmering light, shooting into the stratosphere. I woke, shaken. What did it mean? Being of Borneo-Chinese descent, I instantly recognised both the mythical birds in my dream as symbols of my colourful heritage. Growing up, my mother often joked that I was half hornbill, half phoenix. 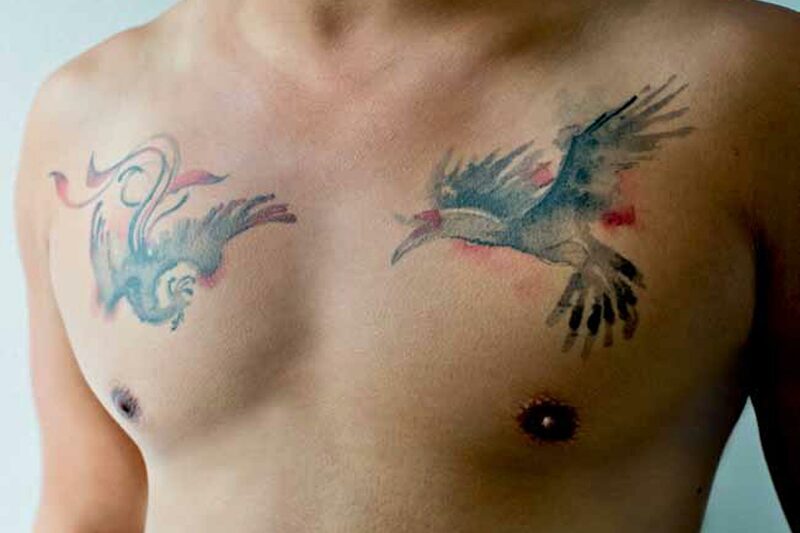 I had also previously read that diving birds feature heavily in folklore, and are a common subject for tattoos, traditionally arising from the maritime tradition, where hardened sailors would get a pair of Chinese swallows etched on their chests. It was a rite of passage, literally – one bird for each five thousand nautical miles travelled, with a pair confirming their status as true adventurers. The idea was that, should their ship encounter the misfortune to sink, the swallows would rescue their souls from the deep and ensure they were lifted to heaven. Later that evening, my phone pinged with an email from my airline loyalty scheme, notifying me that some ten-thousand airmiles had been credited to my account in respect of my recent travels. Now, I’m not a superstitious man, but I couldn’t really ignore these coincidences. What was it about Hong Kong that catalysed my nearly two decades of latent desire for a tattoo? Hong Kong is no stranger to this ancient art, in fact it’s very much part of the city’s DNA. Since its foundations as a strategic military hub and trading port, way back to the Chinese and Mongol dynasties, even – tattooing had been well documented. Marco Polo himself wrote that many came to the region from as far as Northern India to have their bodies ‘painted with the needle’ as it had a reputation for excellence in the art. This part of Southern China was also responsible for the whole-body tattoos adorned by the heroes depicted in the Chinese mythological tale – ‘The Water Margin’. And even in Chinese history, a famous Song Dynasty general who governed the region was said to have a calligraphic tattoo of the phrase “Repay the Country with Pure Loyalty” down his back. 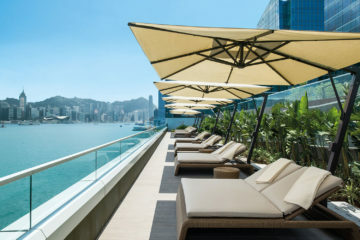 As Hong Kong grew in notoriety as a booming global port, the richest in Asia in fact – and the set for a tempestuous 19th century political tangle involving China, the British and other large trading nations over opium – millions of sailors, merchant seamen and the military passed through the city and picked up a permanent souvenir of their stay. Even the first-time European adventurers with virgin skin, press-ganged into the merchant navy, felt compelled to get inked on arriving in the city – after all, the European ports are all about ten-thousand nautical miles away. Simple black outlines were popular – swallows, dragons, religious talismans, Chinese calligraphy – all to promote safe passage at sea. They were minimalist, but strong, backed up by a need for the tattoo artists to deliver the ink quickly, given the limited time that the sailors had in port. For locals, particularly those of the older generation, tattoos hold a more sinister meaning – a painful memory of colonial reign, war and deep criminality. Hong Kong hasn’t always been the safe, bustling cosmopolis it is today. From the city of opiumdens and whorehouses at the turn of the 20th century, to the underworlds run by the powerful Triads for over 30 years since the 1950s – many parts of Hong Kong were once dangerous ganglands, where the city’s most notorious and violent gangsters reigned supreme. I remember growing up to this narrative through Mum’s Cantonese TV serials, where bad guys fought good cops, who in turn fought bad cops – and nothing was ever resolved and everyone perished at the end in bloody shoot-outs on the streets of Hong Kong. But the drama was very real, and the bad guys, on film and in real life, craved tattoos as a symbol of power and loyalty to their gangs. For them, ink meant permanence – a point of no return, a mark of brotherhood, entry into a higher level – something to be feared. As always, it was deeply ritualistic, but kudos came also from the bravery of risking Tetanus – or worse, being caught with one by the British police, who were fighting violence with violence – keen to create some order in their colonised land. Corporal punishment if you were caught was automatic and for the real people of Hong Kong, tattoos quickly became the symbol of resistance against what for some, was an oppressive, colonial regime. The designs of choice were mostly dragons, Chinese lions, phoenixes and wild horses – illustrations popular amongst the mob set since the 17th century in fact – as those who wore them were considered the true sons of China. Today, the wishes of those people have come true. Britain returned Hong Kong to China in 1997 and the city catapulted forward with a new identity, one country – with two systems. As the handover happened, Hong Kongers feared that they’d take a great leap backwards. Instead, the growth of China as a global economic powerhouse created huge opportunities and the world flocked to this half-way house between the Far East and West – bringing the city much wealth to reinvent itself. Hong Kong has come full circle once again to the bustling, deeply international melting pot of cultures and influences that it once was. A huge generation of hipsters emerged. Those from foreign lands looking to live their lives in the mystic East, those who studied abroad and returned home with new ideas and those born and bred Hong Kongers looking to show the world their own brand of cool. With this came an explosion of art, in all forms – and naturally, body art too. Skin-scribing, particularly in the style of traditional Chinese art, poetry, mythology and calligraphy is all the rage in Hong Kong – unique, avant garde and individual. Hong Kongers are embracing their ‘Chinese-ness’ it seems – although they’d tell you in an instant that this movement is distinctly ‘Hong Kong-ese’. These inked young people’s stories lie in individual self-expression, rather than social rebellion. I met a local guy in a gay bar in Sheung Wan who had a tattoo of the Taoist goddess of mercy, Kwan Yin etched into his back – his reasoning was that she represents a universal, unconditional and non-judgmental love. Another guy I met in an art gallery in a disused tire factory in Wong Chuk Hang had a brushed crouching tiger on his arm (yes, I asked if he had a hidden dragon elsewhere) – simply because he thought it was beautiful. I encountered so many different pieces and stories, and reflecting on my own, I recognised that the city’s soul was calling out to me to have my tattoo done here. Through the recommendation of a friend, I met Joey Pang, regarded as one of the world’s best inkers – artist in residence at Hong Kong’s ‘Tattoo Temple’. She has perfected her craft, able to tattoo in the style of traditional Chinese art and calligraphy, creating beautiful brush-strokes across the skin, so delicate it is almost an optical illusion. She is one of just a handful of skilled people in the world that can do this and her work is simply spellbinding. Her consultation waiting-list alone was over a year long, but when I told her about my dream, she invited me over to her studio after it had closed to talk about it. The rest, as they say, is history. Fast forward a couple of years and with one more trip across the globe, and no second thoughts from me, and I was laid back on a tattoo chair, stencilled with beautiful manifestations of my original vision – more perfect than I could ever have imagined – and Joey was at work with her needle on my chest, bringing my dream to life. The result is simply stunning. Joey read me accurately and did a wonderful job delivering exactly what I wanted, something I had pictured so clearly but struggled to articulate. But, more than the physicality, I love what they really mean to me – a personal milestone, a signature of what it is I do, who I am and where I came from. It charts my own rite of passage as a traveller, an adventurer – symbols of the journeys I’ve made, both in distance and circumstance, as well as the ones that are yet to come. It’s something that makes Hong Kong a very special place, etched in my mind, as well as my chest, forever. Uwern first dreamt up the idea for his in at the Grand Hyatt Hong Kong. He convalesced on the other side of the island, in the arty Wong Chuk Hang at the Ovolo Southside. 1. Do your research and choose a reputable tattoo artist in the city. Anyone with a great media profile and waiting-list is a good bet. 2. 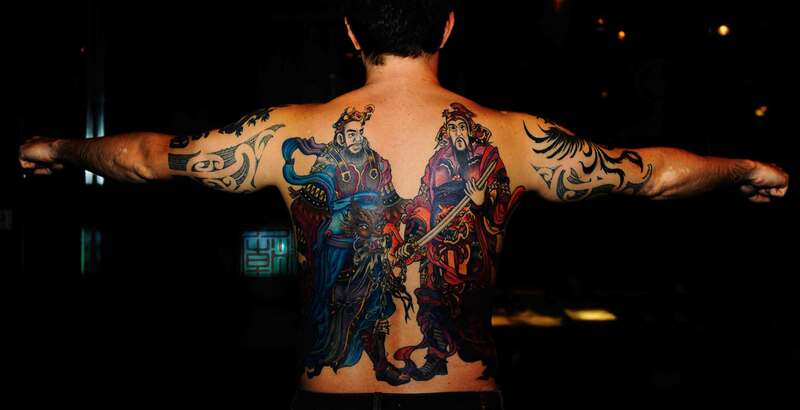 The Hong Kong Tattoo Convention each October is a good place to start if you’re looking for inspiration. 3. If Art in general is your flavour, make sure you check out Hong Kong’s vibrant art scene. Art Basel each March is an exciting time to visit. 5. 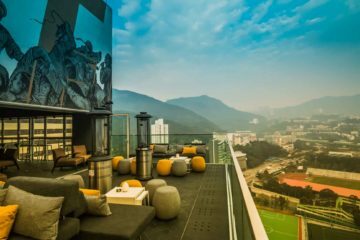 For more grass-roots Art, and its related lifestyle, the emerging hipster district of Wong Chuk Hang is an amazing place to hang out. 6. PMQ (Police Married Quarters) on the cusp of buzzing Sheung Wan is another great spot. Each old dormitory now houses artist studios. 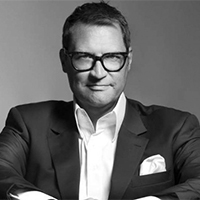 With 20 years of global hospitality experience under his belt with particular emphasis on Hong Kong and Asia, Philip is a leader in the field.